Children and families in need rely on you to find comfort, support, and guidance in their darkest hour. 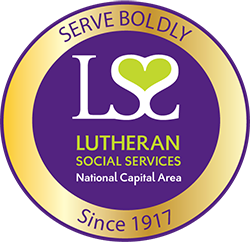 For every dollar donated, 82 cents goes to LSS/NCA programming, directly serving neighbors in the Washington DC Metro Community. LSS/NCA is a 501(c)3 organization. Your donations are fully tax deductible. For more detailed information, download our most recent Annual Report for an interactive experience. Click on the numbers next to the green hearts in the report to learn more about LSS/NCA programs and services.